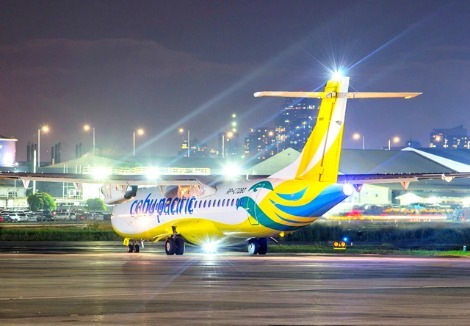 ​The Philippines' leading airline, Cebu Pacific, is the first carrier to operate night flights out of the Legazpi International Airport, after the Civil Aviation Authority of the Philippines (CAAP) upgraded it as night-capable. Following a series of technical reviews and consultations with relevant aviation authorities, including the CAAP and the Department of Transportation (DOTr), the Legazpi International Airport has been declared ready to accommodate night flights, now equipped with the necessary facilities and manpower. This major airport upgrade benefits not only the Bicol region, but the passengers alike. With night flights available, our valued guests now have more schedules to choose from, which therefore allows them to maximize their stay there, while having access to even lower fares. This will also further boost tourism in other major cities around Legazpi, which serves as a regional hub for tourism, business, education and government. The Legazpi International Airport is the main airport of the Bicol region located at the city center of Legazpi, serving the provinces of Albay and Sorsogon. CEB currently operates six daily flights to and from Legazpi via Manila and Cebu. The evening flights, which are operated by Cebgo, depart Manila at 6:15PM and 7:20PM, and arrive in Legazpi at 7:40PM and 8:45PM, respectively. The return flights depart Legazpi at 8:20PM and 9:35PM, and arrive in Manila at 9:40PM and 10:55PM, respectively. Cebgo is the wholly-owned subsidiary of CEB, which operates out of NAIA Terminal 4. The rest of the flights are operated by Cebu Pacific and operates out of NAIA Terminal 3. Night-capability has been one of the key initiatives requested by CEB in 2012, in order for airlines to spread out their flights throughout the day and as a result, lessen traffic congestion in the NAIA runway during the peak noon to early afternoon schedule. "We are commending CAAP for taking action on our request, as this is a great step towards achieving the decongestion of NAIA. We believe this improvement in Legazpi is a move in the right direction as we continue to work with relevant authorities for night operations in other key Philippine destinations, such as Caticlan, Roxas, Naga and Dumaguete, among others," says Atty. JR Mantaring, CEB Vice President for Corporate Affairs. Cebu Pacific signed a Government Fares Agreement (GFA) with the Procurement Service, an attached agency of the Department of Budget and Management (DBM) headed by Secretary Benjamin E. Diokno. This Procurement Service administers the Philippine Government Electronic Procurement System (PhilGEPS), the agreement that entitles government employees discounted fares on official business trips. The DBM Procurement Service, through PhilGEPS, intends to centralize the air ticket purchase of government agencies, which is noted as one of the most needed items in the government's procurement operations. Under the said agreement, all official travels of government workers will be granted discount and waiver of processing fee along with fees for rebooking. "With this partnership, government offices can purchase airline tickets faster and easier, as CEB is now part of their system of suppliers. We are pleased to contribute to this initiative, making air travel more convenient and accessible to our workforce in the government. We are looking forward to flying more government employees as this will also cultivate financial and economic growth of the different regions and provinces in the Philippines," said Lance Gokongwei, President and CEO of Cebu Pacific. "This agreement promotes fair and open competition among the major airlines towards the best value for money for government agencies," said DBM Sec. Benjamin Diokno. "This is a huge step into our goal of getting the highest value for the hard-earned money of our Filipino taxpayers," he added. CEB currently offers flights to a total of 36 domestic and 30 international destinations, operating an extensive network across Asia, Australia, the Middle East, and USA. Its 58-strong fleet is comprised of six Airbus A319, 36 Airbus A320, six Airbus A330, eight ATR 72-500, and two ATR 72-600 aircraft. Between 2016 and 2021, CEB expects delivery of two more brand-new Airbus A330, 32 Airbus A321neo, and 14 ATR 72-600 aircraft. For bookings and inquiries, guests can visit www.cebupacificair.com or call the reservation hotlines (+632) 7020-888 or (+6332)230-8888. The latest seat sales can be found on CEB's official Twitter (@CebuPacificAir) and Facebook pages.